Businesses face all kinds of challenges on a daily basis and it is how they deal with those challenges that can make or break them. All employers have obligations under the HASAWA and other health and safety legislation, to demonstrate how they ensure the safe operation of their business and the safety of their employees. Some problems can be avoided with careful planning but technical or mechanical issues can come out of the blue. Often the company’s engineers have the core skills to work on specialist equipment but lack the supplementary skills and training in areas such as safe isolation. In the case of gas based equipment (Kilns, smelting etc) they know the appliance but do not have the safety, controls or testing knowledge. It is important that all of the employees in a company have the same level of knowledge. We often find a wide variation in skill level and experience which can lead to an inconsistent approach in safe working practices. A lack of specialist knowledge needed to spot potential faults or hazards can prove more problematic and dangerous to a business’s employees and its customers. Logic4training have been helping businesses, both large and small solve problems with training for over a decade. Our clients have included schools (like Uxbridge High school), large retail firms like Tesco and high profile companies like KnowHow, Lowri Beck, Euraqua and Continua. We design bespoke training courses, completely tailored to the needs of our customers. When a skills gap is identified by a business the best course of action is to provide the right training to help plug that gap. Identifying a skills gap can often come from a recurring problem. 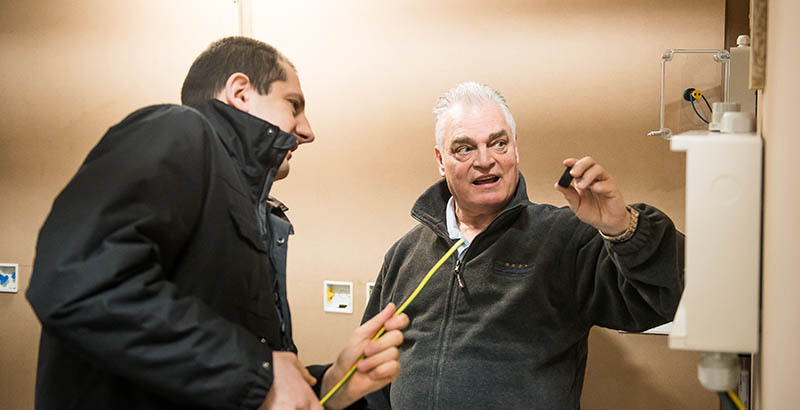 For example, anywhere you have specialist equipment that requires electrical isolation, testing and fault finding or where gas appliances that fall outside the normal range are utilised. There may also be a need for isolating according to industry standards and making sure the equipment is safe to work on. Employees will have the knowledge to use the machinery but the chances are they won’t have the qualifications to spot electrical faults or fix them if required. The employer can demonstrate they have discharged their responsibility fully with an auditable trail of training. Does your business need our help? If you feel there is a need for additional training in your business we are confident that we can help you. Simply download our bespoke training form, tell us about your company and the nature of the training you think you may need. Because of the bespoke nature of this service it can take a little time to respond to requirements. We spend some time analysing the information you provide and begin developing a possible training course that is right for you. We will then contact you and arrange a meeting to discuss how and where we will deliver the training.